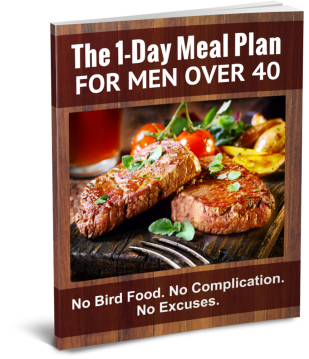 FACT: Men over 40 need to eat differently than younger guys to burn off belly fat, feel energized, & stay healthy. This Free 1-Day Meal Plan will show you what to eat without the frustration of "normal diets." Discover exactly what to eat to lose belly fat & feel energized 24/7 - without hard dieting. "The men's health experts for busy fathers" Free Meal Plan: Dowloaded: 200,000 times. Designed exclusively for busy men over 40 by the men's health experts at the Fit Father Project. Dr. Anthony is a men's health & weight loss expert who specifically helps busy men over 40. Growing up, Dr. Anthony watched his own Dad work himself to the bone, get sick, and eventually die at 42. He founded the Fit Father Project on the mission to help other busy fathers lose weight and build the sustainable health habits that will keep them strong and healthy for life. the email address you submit above! "Dr. Anthony is the best in the business when it comes to helping busy guys get back in shape . I highly recommend you download his meal plan it's truly been a lifesaver for me." "I love this plan! I honestly can’t see myself living and eating any other way. I feel terrific. Sustained energy levels throughout the day. Better sleep. Can’t that you enough for this help Anthony." © 2019 The Fit Father Project | All Rights Reserved. *Results vary from individual to individual.